Dreamshade started out as melodic death metal and kept it that way until the release of their debut full-length, “What Silence Hides”. Early this year, exactly two years later, “The Gift Of Life” introduces you to a more mature band, in the sense that it has gotten closer to a more modern shape and therefore broken out from the standard melodic death formula. 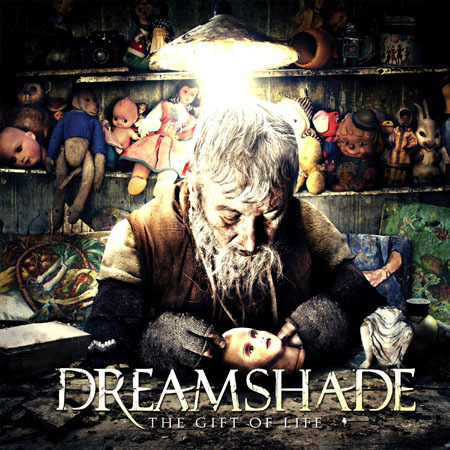 I discovered Dreamshade on Myspace and bought this EP as soon as I could. This new band from Switzerland does an excellent job of combining elements of melodic death metal and black metal to create a different melodic sound. As soon as the first few seconds of “Our Buried Secrets” began, I was ready to tear up my room in a frantic mosh. With a hint of brutality, Dreamshade takes the ideas created by In Flames and Dark Tranquility and takes them up a few notches. Their use of keyboards adds a whole new dimension to the music. The keyboards are used heavily in every song, in a fashion similar to Kalmah. Iko, the vocalist, has a voice with a lot of range. He can let low growls and emit high shrieks at just the right time. Riffs: epic. Drums: epic. This band: very epic. This is an excellent sampler of a band with great expectations. The only complaint I have about this EP is the quality, which is to be expected of any band’s first release. The mixing isn’t very good and the vocals sound very raw (because of the recording). However, the music is still quality work and is well worth listening to. I really like how this band modernizes and refreshes melodic death metal genre. I cannot wait to hear their full length album and strongly recommend this album for any fan of melodic death metal.